I hope that you are having a wonderful Passover. Lodged in between the first days of Passover commemorating the Exodus from Egypt and the last days commemorating the division of the Red Sea I must ask what is the climax of the Passover Story? Having just sat through two wonderful Sederim at my Brother’s house I am left thinking that it must be the 10th Plague. It is clearly the highlight of God’s acting history that lead to their leaving Egypt. But, as we get closer to the end of Passover I am lead to believe that it might be the Splitting of the Sea. So which one is it? Looking at the Torah reading from Shabbat of Passover (Exodus 33:12-34:26) you might be tempted to claim that it is neither. Maybe both are just warming up the crowd for the main event of the giving of the Torah at Sinai. But before we give up let’s try to answer this question. They pour him a second cup, and here the child asks the parent [about what makes this night different]–and according to the child’s understanding, the parent teaches, beginning with shame and concluding with praise, interpreting from arami oved avi (‘My father was a wandering Aramean’) until he finishes the entire passage. (Mishnah Pesachim 10:4). It is interesting that the main Rabbinic discourse on the Passover Seder is rereading the dialogue between the Priests and the Israelites bringing their First Fruit. In this respect we see through the lens of bringing “the choicest first-fruits of your land” the connection between the Exodus from Egypt, the 10th Plague, the splitting of the Sea. and “All that opened the womb “. The 10th plague shows God sparing the first-born Israelites. The Splitting of the Sea depicts the entire nation of Israel being born out of this miraculous birth canal. In both cases God demonstrates God’s connection to the People of Israel. Our response to God’s love is a ritualized giving of the First Animals and the First Fruit to God. In a world without a Temple to reciprocate this love the Rabbis ritualized the explication of this text . The shoulder gems are not for the High Priest, but rather for God. But, why does God need these? Does God need a cheat sheet to remember our righteousness? What is the purpose of these memorials? And why on the shoulders? These questions made me think about the story of Heracles and Atlas. As one of his Twelve Labors Heracles had to fetch some of the golden apples which grow in Hera’s garden, tended by Atlas’ daughters, the Hesperides, and guarded by the dragon Ladon. Heracles went to Atlas and offered to hold up the heavens while Atlas got the apples from his daughters. Upon his return with the apples, however, Atlas attempted to trick Heracles into carrying the sky permanently by offering to deliver the apples himself, as anyone who purposely took the burden must carry it forever, or until someone else took it away. Heracles, suspecting Atlas did not intend to return, pretended to agree to Atlas’ offer, asking only that Atlas take the sky again for a few minutes so Heracles could rearrange his cloak as padding on his shoulders. When Atlas set down the apples and took the heavens upon his shoulders again, Heracles took the apples and ran away. What did it mean for a the High Priest to decide to put on the priestly garb? If they did not put on the garments they would be just like you and me. In choosing to put on the attire they were undertaking the weight of the nation. Seeing what they have undertaken on their shoulders God is reminded of the merit of Tribes of Israel. The question for us is if we are willing to fulfill our role. Will we run away with the golden apples or stand strong and choose to take responsibility for the world around us? The weight of the world will not be so crushing if each of us does our part. It was a real pleasure attending the URJ Bienial last week. While I am not quite ready to make aliyah to Reform Judaism, I have to admit that I am taken by Rabbi Rick Jacob’s ideal of audacious hospitality. The Reform community is strong and under Rabbi Jacob’s direction they are moving in a great direction. It was exciting seeing over five thousand people unapologetically together taking on the Jewish future. Being there I got a sense that they all understand their collective mission to manifest the welcoming tent of Avraham and Sarah. One of the most impressive aspects of Rabbi Jacob’s leadership has been his marshaling of serious resources behind the Campaign for Jewish Youth. One of the main agenda items taken up by this campaign has been Rabbi Bradley Solmsen’s B’nai Mitzah Revolution. At the Biennial I got to learn more about the revolution. They shared some of the innovations they are taking nationally in terms of refitting this coming of age ceremony for the 21st Century family. If you have not seen it, I would encourage you to check out this website. For Rashi, this growing up happens later in life. According to Rashi, Moses comes of age in growing physically and later comes of age with his responsibilities. It is clear to me that today, more than ever, our children are not grown up when they become a bar or bat mitzvah. While I truly appreciate the need to rethink what is B’nai Mitvah, might we just say that becoming 12 or 13 is not the right time? While we might claim that our children are physically grown in some ways, they are clearly not yet the age of being responsible or having achieved any rank. This ritual cannot carry the burden of a Jewish future. ( I encourage you to read another post on this topic.) Thinking about this imagination of Moses taking over Pharaoh’s household, might I suggest another revolution? What would it look like for us to have a Wedding Revolution? A few months ago I responded to Rabbi Elliot Cosgrove, the Rabbi of the esteemed Park Avenue Synagogue, who was pushing the Conservative community to rethink their stance on conversion and intermarriage. And while I might ultimately disagree with him on halakhic grounds, that is not the thrust of the argument I wanted to share. Rabbi Cosgrove’s sentiment was echoed in Rabbi Jacob’s call for audacious hospitality. Why marginalize people who want join our community? Let’s get them in the door through the coming of age ceremony of getting married and then worry about converting or not converting. I see that the issue of conversion and intermarriage today presents itself as a wonderful opportunity for liberal Judaism to redefine the paradigm of conversion and intermarriage within the context of their own values. Instead of sliding down the slippery slope of loosening their standards, why not define themselves robustly in accord with the communities’ highest values? For the Conservative Movement there is an assumption that only someone with a Jewish mother (and not necessarily Jewish father) is legally Jewish. Simply put, this is sexist. The Reform Movement has one approach to dealing with this sexism; they claim that both situations are fine. According to their ruling if either your mother or father is Jewish so are you. Orthodoxy has the opposite approach. In the name of keeping the tradition they are fine being sexist. But might we be missing another option? So here is the revolutionary idea. Can we make everyone undergo a “conversion” of sorts in order to get married? I am not limiting this to a halakhic discussion; obviously someone who has two Jewish parents does not need a legal conversion. But this new mandate would deal with the sexism and the experience that anyone is being excluded. It is just the part of the new wedding ceremony. Surely all of the work that a would-be convert needs to do in the process of preparing for conversion is something that we would like for every Jewish adult. So why not mandate that everyone go through this process? One objection is that the current conversion process is not pleasant. Why would we subject “real” Jews to this treatment? Well that is its own big problem that needs to be fixed. Converting to Judaism should be a wonderful experience. I have no doubt that this process needs a healthy dose of transparency and in turn its own revolution. Another objection is that it would be too rigorous. I do not claim that non-Orthodox Jews should share all of the values and behaviors of Orthodox Jews, but please stand for something. The part I most enjoyed about Rabbi Jacob’s keynote address was his articulating that Reform is not less authentic then Chabad or any other form of Jewish life. I would assume that every branch of Jewish life will have their own assumptions about defining an authentic conversion, but why not recreate the new wedding/conversion to conform to these values regardless of gender or lineage. And do not claim that it is too hard. Comfort is not a Jewish value. Being Jewish is marvelous and making a Jewish household is worth the effort. Another objection is the right time for this innovative rite. When would someone undergo this “conversion”? And here is the genius of Rabbi Cosgrove’s argument of joining the issues of conversion and intermarriage. While conversion for the sake of getting married is prohibited by halakha, marriage is the perfect occasion for a Rabbi to guide a couple through this new “conversion” ritual. Surely this would make Rabbis better gate keepers if we had a way to offer all people interested entrance. Blind to their gender or lineage they would go through this process. Surely getting married is a more logical time to claim that someone is ” grown up” and ready to attain the rank as co-head of a household. Coupling these issues of conversion and marriage for Conservative and Reform Judaism also presents Orthodox Jews a wonderful opportunity. Just look at how having a Bat Mitvah, an innovation of Liberal Judaism, has been migrating in different versions into mainstream Orthodox circles. This new marriage/conversion ritual might not be halakhic, but it sure seems like an interesting public policy a humra – religious stringency, that will benefit the the entire Jewish community. Our different religious values speak to our most basic and common human needs. Over time this ritual will make the Jewish people much stronger. Audacious hospitality deserves more audacious revolutions. The familiar plot of the story of Cinderella revolves around a girl deprived of her rightful station in the family by her horrible stepmother and stepsisters. Forced into a life of domestic servitude, she is given the cruel nickname “Cinderella” as she is forced to tend the cinder from the fireplace. She accepts the help of her fairy godmother who transforms Cinderella so that she can attend the royal ball and attract the attention of the handsome prince. But, the spell will only work until the first stroke of midnight. 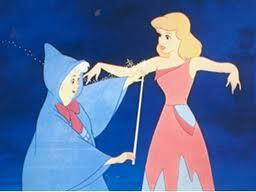 While at the party Cinderella loses track of the time and must flee the castle before she blows her cover. In her haste, she loses one of her glass slippers, which the prince finds. He declares that he will only marry the girl whose petite foot fits into the slipper. Cinderella’s stepsisters conspire to win the princes’s hand for one of themselves, but in the end, Cinderella arrives and proves her identity by fitting into the slipper. It seems that the story of Cinderella is the story of Passover. We were lowly slaves in Egypt and then out of nowhere Moses comes in as the fairy godmother to invite us to the big ball ( insert 3 day holiday here). Pharaoh and his court play the role of the stepmother and stepsisters afflicting the Israelites with back-breaking work. We were not prepared for this moment and at the first strike of midnight we had to run off (insert Matzah here). It is interesting how we commemorate this anxiety every year by mandating that we finish eating the Afikoman by midnight. At this point in the yearly narrative, we have had our first encounter but still longing to rejoin God who is playing the role of the prince. While Cinderella was counting down to be discovered by the prince, the Jewish people are counting “up” to Shavuot. We are reminded that we are but slaves and we are on the march to complete freedom. It is understandable that we might get lost in the excitement of being asked to elope with God, but we are not yet secure that we will be discovered and ever escape our slavery. We are waiting for God to return to see if the slipper fits (slip on Torah here). Ah, you got to love stories with happy endings.